I have created a page (duplicated actually, using a plugin) as my frontpage. When reverting edits, it jumps to an album in the backend. I tried reproducing it using a new page and a different duplicated page as well, but can't reproduce the behavior with those - but it keeps happening with my frontpage. Yes, I can see notices, they are from post list widgets listing 3 albums under scroller. 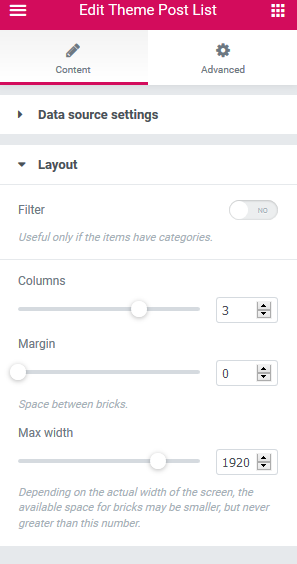 Appearance → Customize → Albums Settings → Albums list → Choose the proportions of the bricks. Last on is in each album: Edit album -> Album details -> Albums list -> Size of brick. You can check if all those settings have valid values, or if you like I can take a look at your installation. However, please don't send me here any login datails ;-) Just let me know and I will give you instructions how to proceed. It was the margin in Theme Post List not having any number. The errors are gone, after I set it to 0.